The movie Transformers: The Last Knight featured Bumblebee who is the ultimate hope for Optimus Prime to be restored on his old self. Their creator reprograms or recreated his system in order to fight against the Earth also known as Unicron. It was a huge success and we thought that was the end of the movie of the Transformers. And now Paramount picture is back to give us another Transformers movie but this time around the main character is Bumblebee. 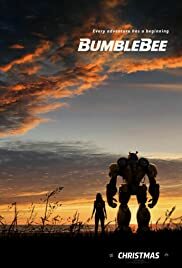 The idea of the movie is taken from the classic Bumblebee movie. Bumblebee movie will show the time before he meet Sam Witwicky. This time around he meets a teenager girl named Charlie Watson (Hailee Steinfield) and she became Bumblebees’s friend. Sector 7 still active was lead by Burns (John Cena) who is aware of the presence of the Autobots and Decepticons. While Bumblebee is not a good looking car, still he is our brave and charismatic Autobot who is fun to be with. Bumblebee may look like a weak rusty yellow 1967 Volkswagen Beetle but during the battle mode, he is really a good soldier with a good heart ready to sacrifice his life to save the innocent. The movie will hit on the theater December. Are you ready for some Transformers? Now let’s roll out.